Those were the first words spoken to me by US Ambassador to Israel, Dan Shapiro, when we were introduced on my recent trip to Israel. We ended up joking about that for a few minutes as he remembered that the 1969 Mets overtook the Cubs in August and won the NL East Division on our way to winning the World Series. While on the trip for the UJA I also had a chance to meet the President of Israel, Shimon Peres, and do some fundraising for baseball in Israel. I first visited Israel in 2007 when I managed the Modiin Miracle in the Israel Baseball League and it was during that summer that I was first introduced to the Israel Association of Baseball. I’ve enjoyed fundraising and spreading awareness on behalf of the IAB ever since. 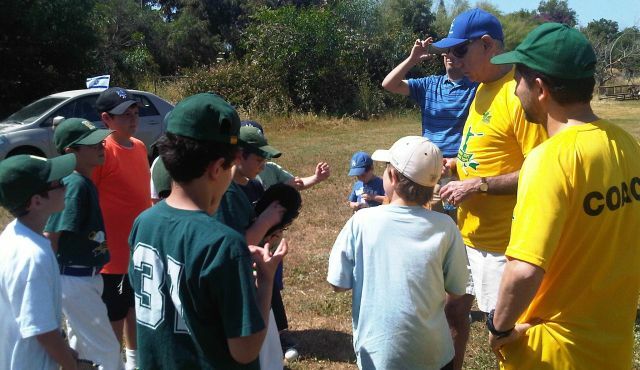 On this most recent trip, I able to help the IAB specifically for a baseball complex which will become the central hub for baseball in Israel, hosting daily games, European competitions, WBC tournaments, and a professional baseball league in the future. This complex would address one of the major issues facing baseball in Israel: a lack of facilities. Despite having teams and a league infrastructure, Israeli baseball teams don’t have the same access to training facilities that other countries do. If you’re interested in getting Art Shamsky involved in your next sports or corporate event, or fundraiser get in touch today!